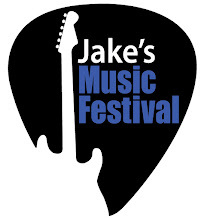 We are very pleased to announce the full line up for Jake's Music Festival 2013. We have some old favorites returning and some folks that are brand new to our stage. 7:00PM Grand ‘Piper’ Entrance & Welcome !!! We are starting the show a little later this year. Rather than the "stop by any time" kind of event we've run in year's past, this time around we're starting at 7:00 p.m. so people can go to dinner than stop by for four hours of some of the best music west Michigan has to offer. We've posted band photos on the tab right above this post called 2013 Band Photos. We also have the full show schedule on the 2013 Show Line-up tab for easy future reference.